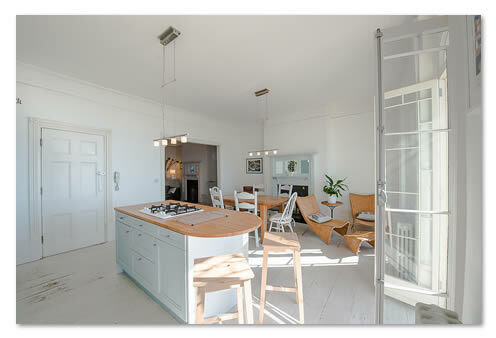 Here at My Seaside Luxury we aim to make your holiday letting experience as simple and as stress free as possible. My Seaside Luxury can provide you with assistance right from the first steps of your property journey whether it be advising on where to buy your property or how to decorate your new home. We have great relationships with many local suppliers and give you recommendations for builders, decorators or upholsters. The first step is to get in touch with us for a telephone consultation and then we shall come and visit you at your holiday home and talk over all your questions and queries and arrange the next steps. Once we have had our initial meeting with we shall send you all your relevant paperwork including projected rates and a realistic projection on occupancy for your first year. We will also include an recommend inventory list for your property along with any other documentation. Once you are happy with everything we move onto getting your property ready for holiday letting. A fully managed letting agency. As we are a fully managed letting agency we will manage all bookings, guests, cleaning, linen and small maintenance and inventory issues on your behalf. Any major maintenance that needs doing you will be contacted first. We monitor your property prices daily and special offers weekly and you will be sent an update monthly to let you know how your property is performing. Your property will be advertised on a live website 24 hours a day, 7 days a week on our newly designed, easy to use website. We also advertise on specialist third party websites so your property can attract guests from all over the world. We also have great relationships with corporate companies as well as a very repeat custom rate. We thrive on knowing your property just as well as you do so we can give the customer all the knowledge that they need to know to make an informed decision, we also live in the local area so we can give customers the very best knowledge of what is going on in the area and where to go to and what to do. All we expect from our owners to do is to come and enjoy your property whenever you wish to, your property will be ready for you on your arrival. We also ask that when you do visit you just give your inventory a double check over in case anything else is needed for you or your guests. You are also more than welcome to pop into the office at any time or we can come and visit you to discuss anything you wish.